Discover new strategies and resources and network with colleagues. Bring a device to participate in our hands-on sessions. As always, breakfast and lunch are included with registration. 3612 Woodley Rd NW. Washington, D.C. Parking is available in the Cathedral Underground Parking Garage. Parking validation will be provided. 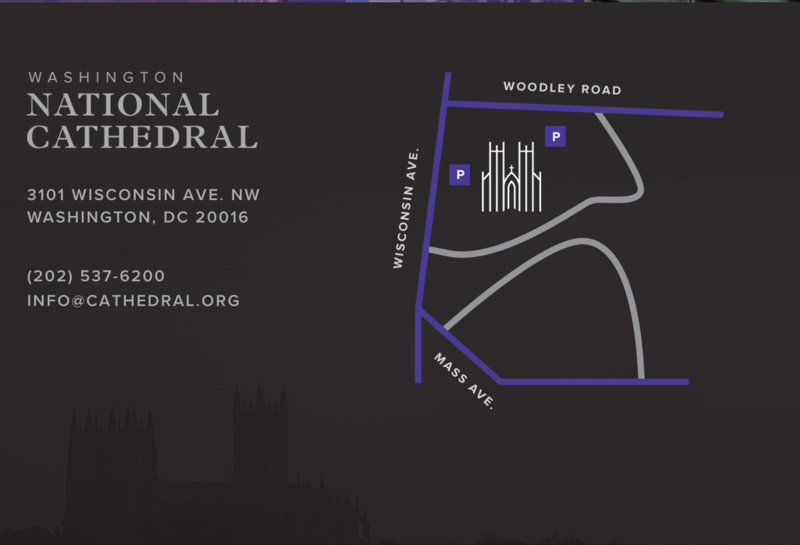 ​Entrance: Enter via Wisconsin Avenue, at the traffic signal just south of Woodley Road.We recommend parking in the Cathedral’s underground parking garage. There is very limited parking on the Cathedral grounds and in the surrounding neighborhood. We are not accepting any more proposals for our Spring Conference. ​GWATFL Fall Conference 2018 proposal forms available soon! Reserve a table or become a sponsor. 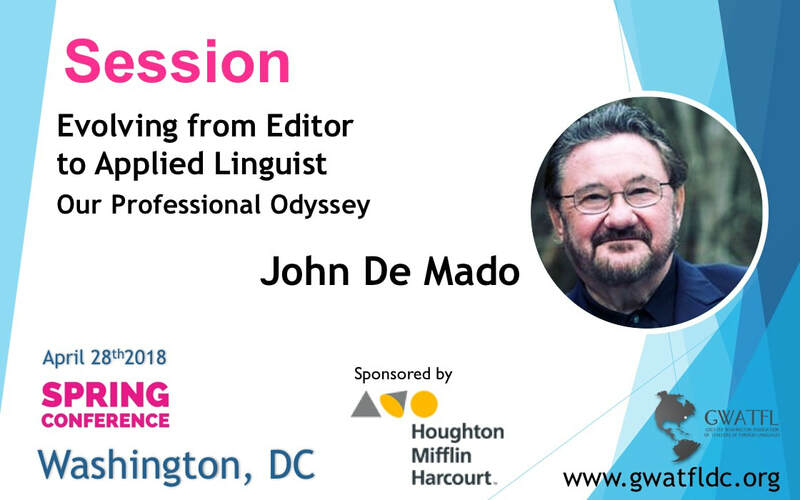 John De Mado will be joining our Spring Conference with his provocative, informative and humorous sessions at our Spring Conference 2018! ​"Be prepared to laugh heartily and to reflect profoundly". Despite all the good intentions, much of what is standardly considered common methodological practice for language teachers may actually prove to be 'anti-linguistic'; i.e., it works against language acquisition. Applied Linguistics respects the 'nature of language. Acquaintance with this discipline of language acquisition aids language teachers in their evolution from simply the classroom 'editor' to the 'Applied Linguist'; from teaching for Mastery to encouraging Proficiency. Come find out how and why. Be prepared to laugh uproariously and to reflect profoundly. Plan it, Play it...Plick it! ​Keep them Talking in the Target Language, the RLRA way! Department of World Languages of the The National Cathedral School for hosting our Spring Conference 2018.